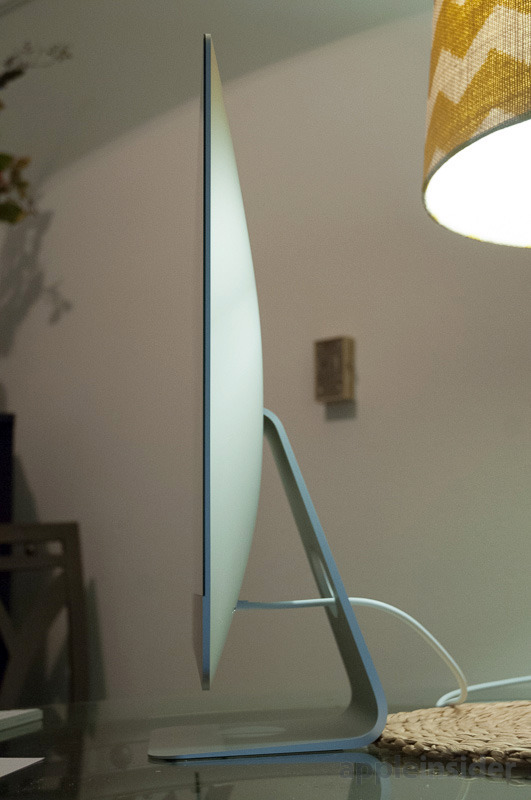 A 27-inch 5K iMac is no longer a novelty, but 2015's model is an upgrade bound to satisfy most Mac users —though Apple did, strangely, decide to hold back on certain key advancements. The centerpiece of the computer is of course its 5,120-by-2,880-pixel display, which like last year's 5K iMac is almost unbelievably sharp. In many respects, Apple's display technology hasn't changed —images are bright and practically "pop" off the the screen, with deep blacks, high contrast, and wide viewing angles. It's hard to overstate the value of 5K. Aside from making images and text super-crisp, it's possible to run multiple apps simultaneously without feeling cramped for space. Apple is still ahead of most PC makers in this respect, since other all-in-one computers typically don't exceed Quad HD (2,560-by-1,440 pixels). For the time being, people who insist on 4K or better without a separate monitor may naturally gravitate in Apple's direction. There is one upgrade this year, which is support for the P3 color gamut. This is said to offer 25 percent more colors versus the standard sRGB gamut, which may be particularly important for people wanting to do professional photo, video, and illustration work. Certainly, we've never seen color this good on a consumer-level display. The chassis of the system is essentially unchanged from 2014. It's still ultra-slim, only 5 millimeters thin at the edge, albeit with a large bulge at the back for components like RAM, the logic board, and internal storage. The similarities extend down to the rear-mounted ports, the large black bezels, the adjustable aluminum stand, and a push-button mechanism used to access the RAM panel. As a rule this is a good thing, since there was nothing fundamentally wrong with last year's design. In 2015 it's still stylish and practical, even if side-mounted ports would make it easier to connect peripherals, and it would be nice if Apple figured out a way of improving portability or (dare we say it) internal access for repairs and upgrades. Down-facing speakers deliver loud, crisp audio for music, games, and video, and may in fact be good enough for casual users. Audiophiles will of course want dedicated speakers or headphones, especially for the sake of bass. We tested the $1,799 base configuration, equipped with a 3.2-gigahertz quad-core Core i5 processor based on Intel's Skylake platform, capable of Turbo Boosting to 3.6 gigahertz. The computer also came with 8 gigabytes of RAM, a 1-terabyte, 7,200-rpm hard drive, and an AMD Radeon R9 M380 graphics card with 2 gigabytes of VRAM. 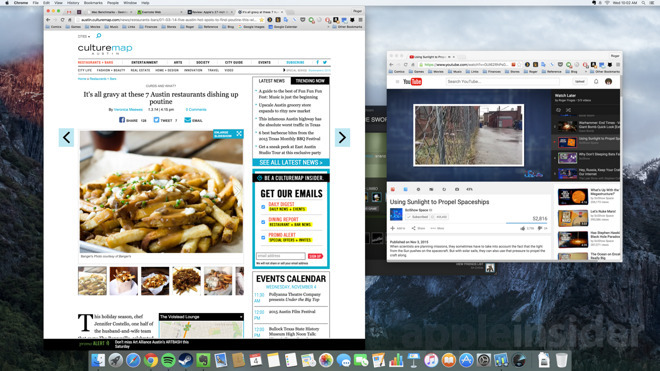 In general the system proved more than capable at handling everyday tasks, for instance letting us run Chrome, Pages, Spotify, and Slack simultaneously, with Chrome having several browser tabs open —including one running 4K video from YouTube. It was also able to handle modest games like Limbo at full speed, without hitching or dropping frames. That being said, it's worth spending an extra $200 to get the model with faster Fusion Drive storage and M390 graphics. People spoiled by Fusion Drives or the SSDs in recent MacBooks will otherwise find boot and app launch times slow, and the M380 just doesn't perform well with graphically intense 3D games or productivity apps. Indeed framerates suffered a bit in The Talos Principle, which is a slow-paced puzzler —running a game like Grand Theft Auto V in Boot Camp would probably bring the system to its knees. Of course, Macs aren't known for being gaming powerhouses. 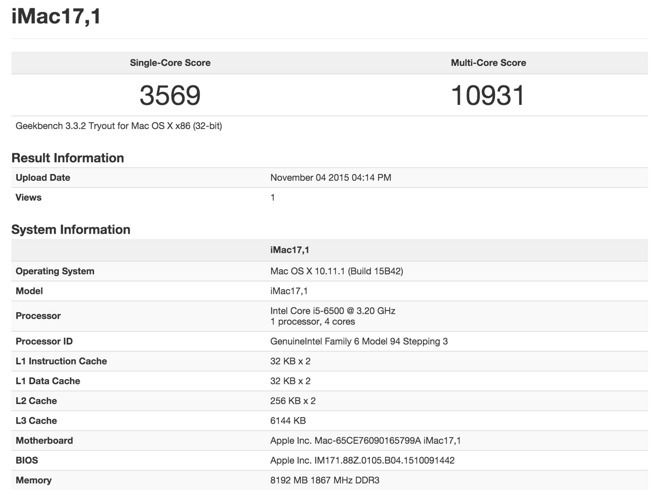 Geekbench's 32-bit processor tests gave the machine a single-core score of 3,569, with multi-core performance hitting 10,931 —not much better than a 2013 MacBook Pro with a 2.4-gigahertz Core i7. 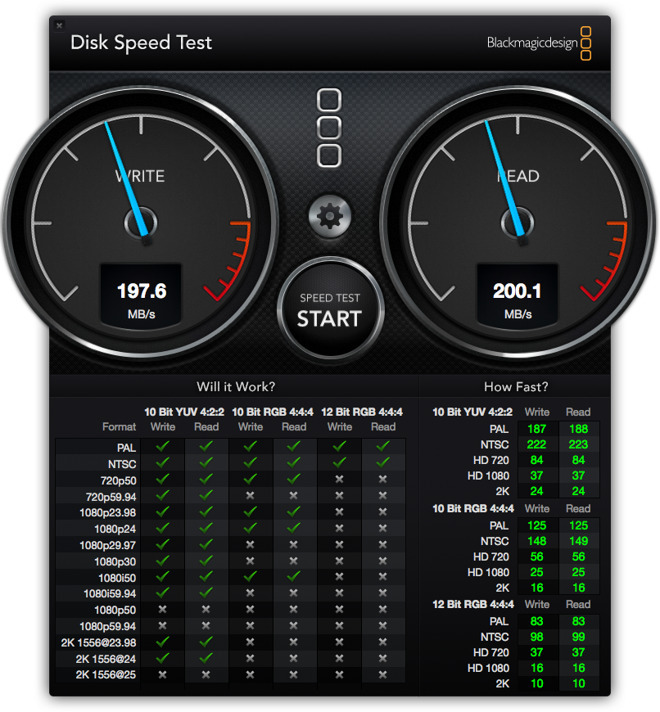 Blackmagic's Disk Speed Test showed virtually equal read and write speeds meanwhile, coming in at 200.1 and 197.6 megabytes per second, respectively. That's well below the performance of SSD and Fusion Drive options. If there's a broader issue with the iMac's engineering, it's really that some of its elements seem outdated, or at least not future-proof. An 8-gigabyte standard allotment of RAM is beginning to feel anemic in a system this expensive, for example, and while there are four USB 3.0 ports and two Thunderbolt 2 connections, there's no USB-C in sight. That seems strange considering how much attention Apple lavished on USB-C when it announced the 12-inch Retina MacBook. Buyers should probably abandon the tiny and uncomfortable Magic Mouse 2 as soon as possible in favor of a third-party mouse or a Magic Trackpad 2. Unless buyers choose otherwise, all new iMacs come with Apple's Magic Keyboard and Magic Mouse 2. Both peripherals can be recharged via Lightning cables, and the Keyboard in particular is quiet, compact, comfortable, and responsive. Buyers should probably abandon the Mouse 2 as soon as possible, though, in favor of a third-party mouse or a Magic Trackpad 2. It's tiny and not terribly ergonomic. As if to compound things, its Lightning port is inexplicably on the bottom, meaning that you can't charge the device while you use it. Apple's philosophy this year can be summed up with the cliché "if isn't broken, don't fix it." Skylake and better graphics hardware at least keep the iMac relevant, and people new to the Mac platform may be happy, mostly because of the incredible display. The effect might diminish if they want to run AutoCAD or the latest Call of Duty, but at that point a PC or a Mac Pro might be the better option anyway. Our only fundamental complaint is that Apple didn't attempt any significant leaps this year. There's still a place for desktops in the Mac lineup, but Apple has to prove that they can be just as cutting-edge as any PC or MacBook if they want to attract shoppers. That doesn't necessarily mean "thinner," either. 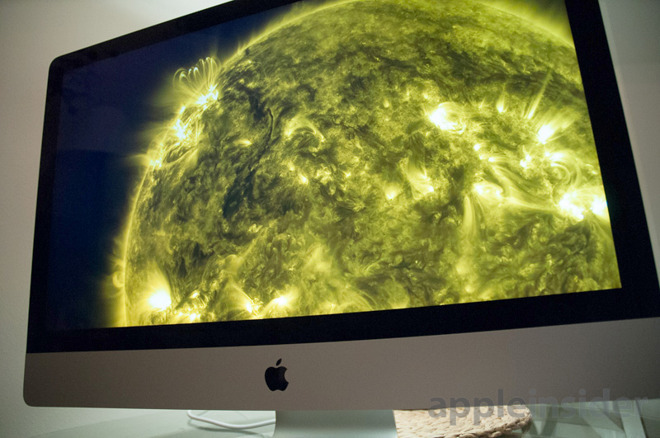 Apple prices the new iMac with Retina 5K display at $1,799 for a baseline model and scales the line up to $4,099. Fortunately, a big part of what we do at AppleInsider is harvest unbeatable deals and lowest prices anywhere on Apple products from the company's top authorized resellers through our Deal Tracker (deals.appleinsider.com) and Price Guides (prices.appleinsider.com). 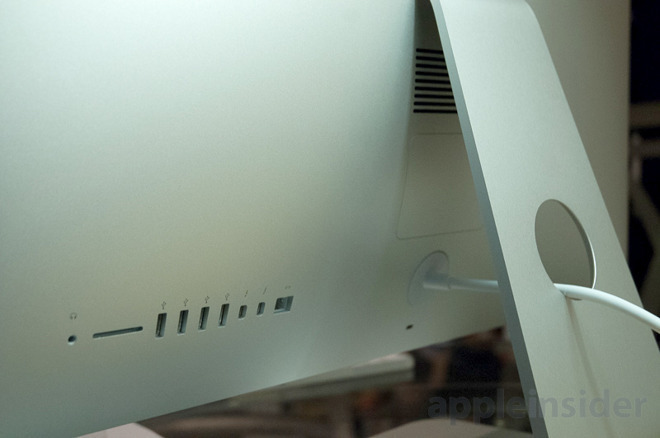 And there's currently a number of deals on the new iMac 5K that can save you hundreds. % Price when using the links above and applying promo code APINSIDER at checkout. 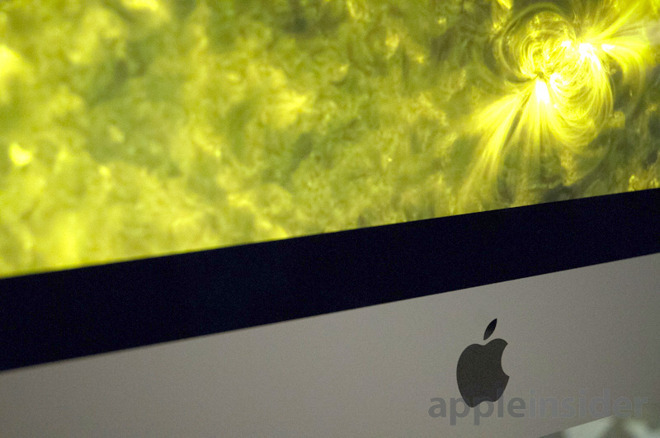 Meanwhile, if you want to have Apple's AppleCare for iMac extended protection plan included your purchase, Apple authorized reseller Adorama has teamed up with AppleInsider for an unbeatable deal this week, offering Free AppleCare with all 100+ possible configurations of the new iMac 5K. Complete instructions for this deal are included below. Adorama also won't collect sales tax on orders shipped outside NY and NJ, further sweetening this offer. In total customers outside those states should save between $250-$400 on their orders compared to buying direct. To take advantage of this offer, select your configuration by clicking one of the Adorama pricing links in our Macs with AppleCare Price Guide or from the list below. During check out, use $150 discount promo code APINSIDER to increase the total discount on the bundle of the iMac and AppleCare to $199-$269 when compared to Apple's price, which completely backs out the cost of Apple's $169 AppleCare for iMac extended protection plan plus another $39-$100. This deal is only available online and orders are filled in the order they are received. Step-by-step instructions are also below. 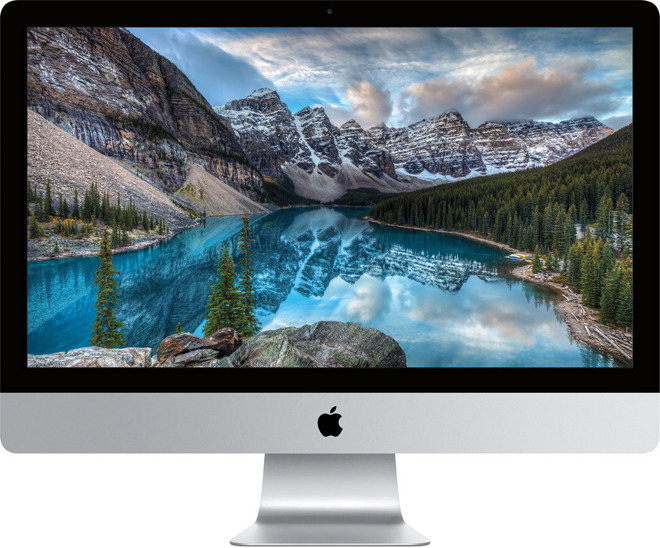 Below you'll find pricing from Apple authorized resellers for Apple's 21.5" iMac with HD display (Late 2015) family of Macs paired with one of the company's AppleCare extended warranty protection plans. Every 21" iMac comes with a one-year limited warranty and up to 90 days of complimentary telephone technical support. Purchasing an AppleCare Protection Plan alongside a new iMac will extend that warranty for an additional two years. With it, you'll also get direct, one-stop access to Apple's telephone technical support for questions about your Mac, macOS, and Apple-branded applications such as Photos, iMovie, GarageBand, and more. In addition, youâll get 24/7 priority access to Apple experts via chat or phone, and even local repair service when you visit other countries around the world. 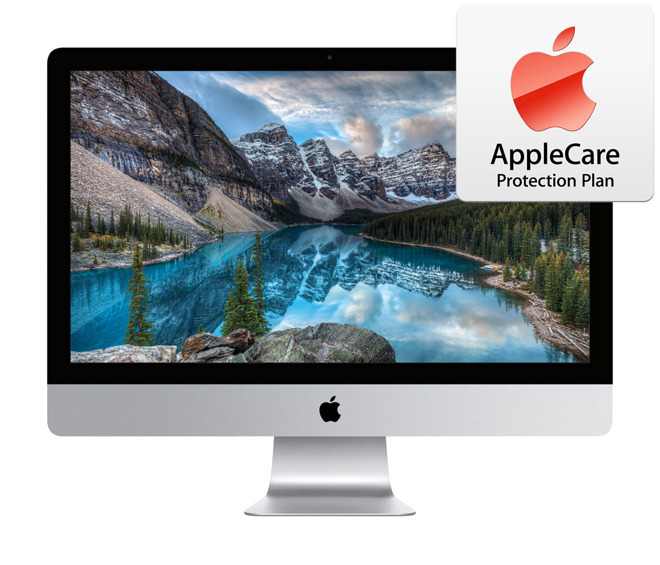 An AppleCare extended protection plan for a 21" iMac retails for $169, but considerable discounts can be found on Macs bundled with AppleCare from authorized resellers such as Adorama and B&H. Price with $25 promo code APINSIDER. Adorama will not collect sales tax on orders shipped outside NY and NJ. As always, if you have any issues, you can reach out to us at [email protected] and we'll try and help. Price with $70 promo code APINSIDER. Adorama will not collect sales tax on orders shipped outside NY and NJ.